A new era is on the horizon for New Mexico. The future for this industry in the state has never been brighter. 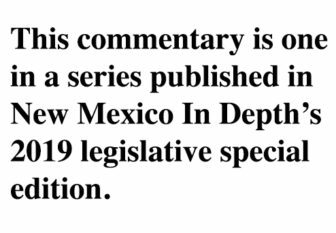 Of course, this is not only true for New Mexico’s political transition, it’s true for the energy renaissance taking place across America and right here in the Land of Enchantment. Earlier this year, the Energy Information Agency reported that the US became the largest producer of crude oil in the world. This spectacular accomplishment reflects the idea that we should have greater control of our energy future, making our country more secure, and allowing communities and economies to flourish. As Americans, we can all admire our country’s energy leadership, but as the state making it possible – we should be proud. The story of this American energy renaissance starts right here in New Mexico. Last year, oil and gas producers invested more than $13 billion into the state. This capital, combined with technological innovation and resourceful and efficient producers has given way to an unprecedented period for this industry in New Mexico – and it has truly been a year without precedent. Unprecedented means record oil production. Building on the $13 billion invested in New Mexico last year, investments turned into results as production soared in New Mexico. In fact, record production has pushed New Mexico to become the 3rd-largest producer of oil in America. Oil isn’t New Mexico’s only natural resource, as New Mexico has also been blessed with abundant natural Gas reserves, making New Mexico the ninth-largest producer of natural gas in America. Strong oil and gas industry also translates into strong communities. Restaurants are packed, schools are reporting record enrollment, and hotels are booked solid for a month. And keeping communities strong means making smart policy both here in Santa Fe and in Washington, DC, because jobs and economic growth shouldn’t end at New Mexico’s borders. Of course, unprecedented isn’t possible without responsibility. Oil and gas operators are driving production to record highs, but, it is also a fact that oil and gas producers are the largest single force in driving transformations in how we reduce air emissions, manage land, and conserve water. Protecting the environment is the responsibility of anyone who seeks to operate in New Mexico. Through innovation and new technology, the oil and gas industry in New Mexico has reduced methane emissions by an incredible 47 percent in the San Juan Basin and 6 percent in the Permian Basin, from 2011-2016. Working together, producers are collaborating to learn from each other and testing innovative technology to achieve further reductions in methane emissions. As a consumer of water in an arid state, oil and gas producers are finding new ways to manage water resources, testing and implementing state of the art water recycling and cleaning systems to optimize available water. Oil and gas producers also recognize that maintaining lands for multiple use purposes and protecting areas of critical cultural or environmental significance is of the utmost importance. That’s why producers carefully work to reduce their environmental footprint and to mitigate impacts to New Mexico’s treasured lands. That’s responsible production and development that has given way to unprecedented success that in turn gives way to unprecedented opportunities. Our schools depend on a strong oil and gas industry to hire teachers, purchase new textbooks, and keep classrooms warm in the winter. We can leverage the incredible opportunity, and surplus, oil and gas gives New Mexico to double down on solutions and investments for our next generation. New Mexico’s potential is vast. And there is no limit to what this amazing industry can continue to accomplish. Let’s keep it going. 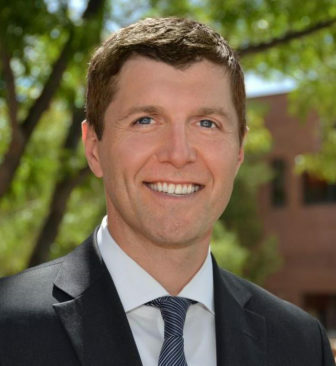 Ryan Flynn is executive director of the New Mexico Oil and Gas Association, a coalition of oil and natural gas companies, individuals, and stakeholders dedicated to promoting the safe and environmentally responsible development of oil and natural gas resources in New Mexico. The views in this column are the author’s alone and do not reflect the view or opinions of New Mexico In Depth. On Tuesday, there was a pronounced note of positivity for legislators in the Democratic majority as they grasped the opportunity to move on long pent-up agendas with a Democratic governor. It’s honeymoon time.